This shirt is a bit different to some of the other BLK World Cup shirts we’ve seen, in that the basic design is basically the same as the home shirt. We applauded the way BLK had taken the time and thought to craft a USA alternate shirt that was different to the home in almost every way, so a straight colour-swap should be a real downer for us, right? Well, no. Firstly, it’s really hard to argue with a shirt that’s really, really handsome, and we think there’s little doubt about that here – it’s a real looker. Secondly, we don’t mind the fact that the design is replicated, because the way colours have been used to emphasise different aspects of the design make it feel like a very different beast indeed. 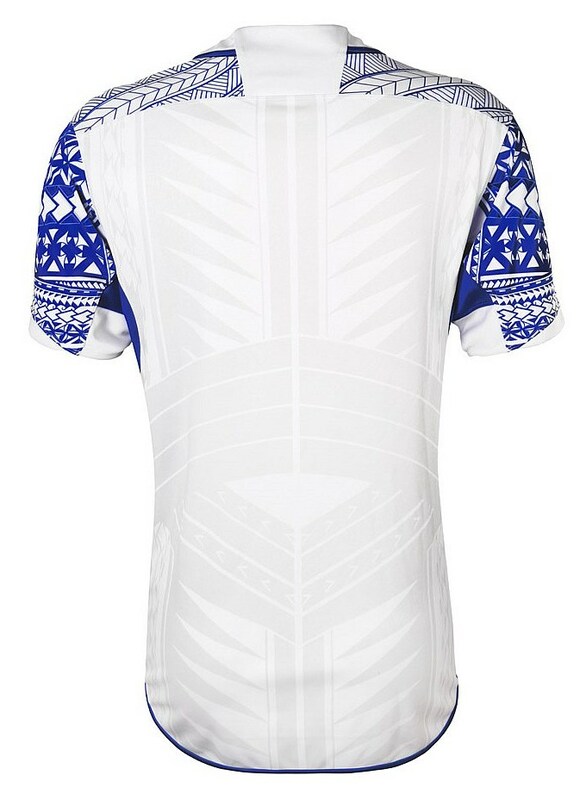 With the home shirt, the bold pattern on the front was the main point of emphasis, while the more detailed patterns on the sleeves were barely visible unless you look very closely, here the effect has been flipped, making the intricate patterns along the sleeves and shoulders stand loud and proud as the focal point of the design. 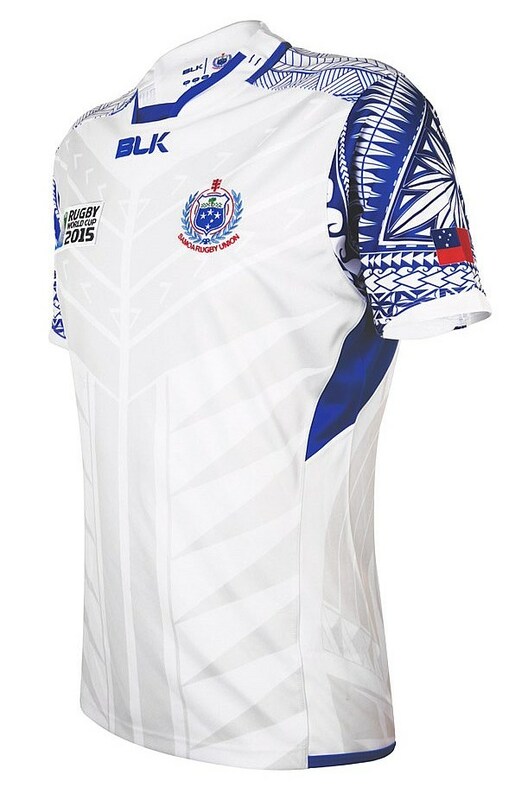 It not only looks great, perhaps better than the home shirt, but it really shows off what a fantastic job the BLK designers have done with the traditional Samoan line work. 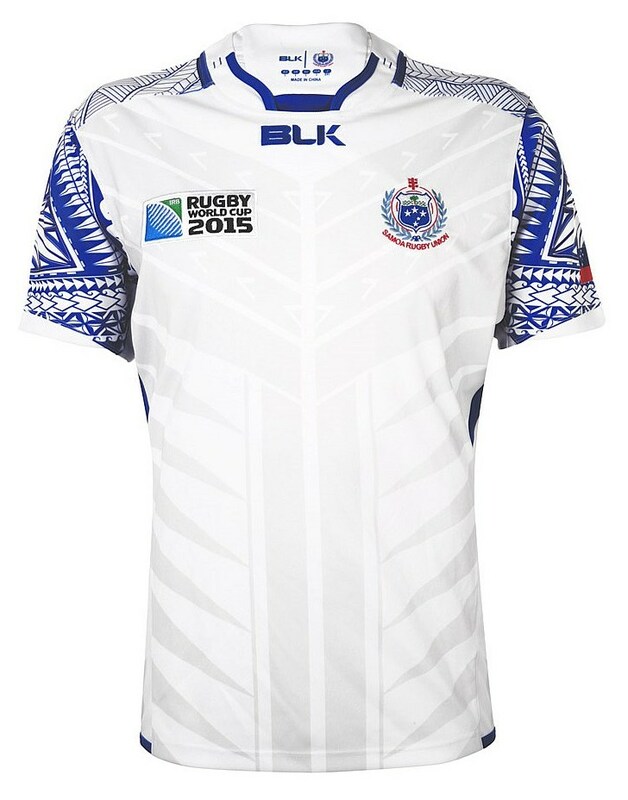 It deserves a chance to shine and we hope Samoa make a lot of use of this design during the tournament. While we love it when companies produce totally distinct alternate shirts, this design shows that with some thought and clever use of colour, you can draw attention to parts of the design that give the shirt a totally distinct feel. Another World Cup winner on the shirt front.